Bach’s monumental St Matthew Passion, which recounts the final days of Jesus’ life, forms the concert centrepiece of Salisbury Cathedral’s Holy Week. 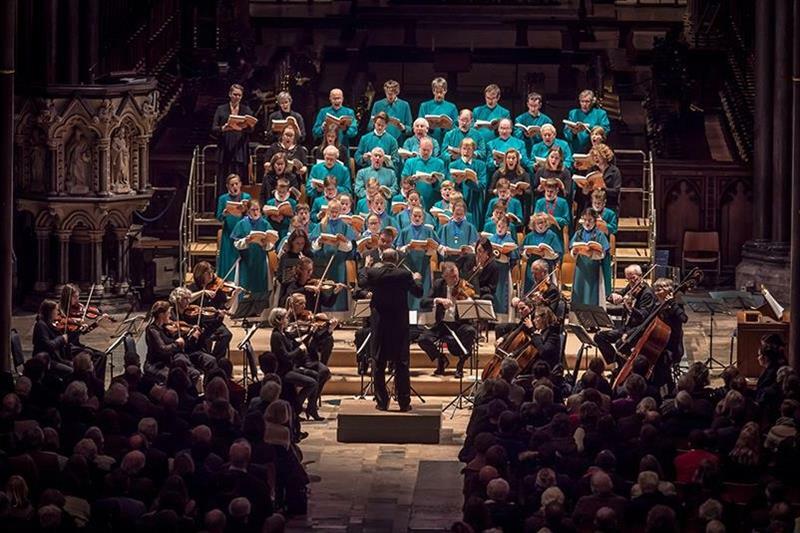 Believed by many to be the crowning achievement of Bach’s illustrious career, the St Matthew Passion will be sung by Salisbury Cathedral Choir with soloists James Oxley and Neal Davies. The period instrument ensemble Florilegium will accompany. Since the fourth century it has been tradition that the final days of Jesus’s life are retold during Holy Week. This was originally done as a liturgical chant, but in the 16th century the Passion began to be sung in more elaborate settings. Bach’s masterpiece received its first performance in 1727 at the Good Friday Vespers in Leipzig’s Saint Thomas’ Church. The only listeners who would have heard it during his lifetime would have been the congregations of the churches in which he served. Since then it has been sung all over the world in many venues and churches, becoming one of the best know choral works in history. Taking the part of the Evangelist, soloist James Oxley is no stranger to the St Matthew Passion, having performed it at Salisbury Cathedral last year, in Hereford at the Three Choirs Festival in 2015, and with the Royal Northern Sinfonia and the RTÉ National Symphony Orchestra. Neal Davies, who takes the role of Christus, is a singer of international renown. He has performed with the Philadelphia Orchestra, the New York Philharmonic Orchestra, the Bach Collegium Japan and with Music of the Baroque. The St Matthew Passionwill be performed in English and takes place at 19.00 on Wednesday 17 April. Tickets are £10.00-£30.00 and can be purchased online via the Cathedral websiteor Salisbury Playhouse on 01722 320333. Concert-goers can enjoy a pre-concert supper in the Cathedral’s Refectory Restaurant. Booking is essential - contact the Refectory on 01722 555175 or email refectory@salcath.co.uk. The meal will commence at 17:30.